The Europe Villa Cortes hotel is located the beach front and has a unique Mexican Hacienda style which will captivate you. The hotel displays amazing art, offers unbeatable hospitality and guest rooms, each with an individual touch of elegance. The Spa & Fitness Centre is designed like an ancient Maya ruin, full of local culture and a thermal circuit with pools, Jacuzzi, showers and a sauna. 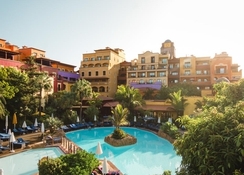 This exquisite hotel is ideal for those with a discerning taste, needing an oasis of calm, but who still want to be close to the centre of this vibrant resort. Getting to the hotel: 17 km from Reina Sofia Airport - you can book a transfer with hotels4u.com when you book your hotel. Alternatively if you wish to book a transfer only, please visit transfers4u.com. 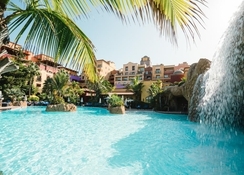 Local Tips: Europe Villa Cortes is situated in the South of Tenerife at Playa de las Americas, close to the resort of Los Cristianos. Fabulous facilities here for those seeking action, entertainment and also relaxation time! Food, drink and entertainment: A large variety of restaurants include Veracruz for breakfast and dinner buffet style, for half board guests La Sirena is close to the pool offering Mediterranean style lunch, Pancho Villa for traditional Mexican food, Bräuhaus German Beerstube serves typical Bavarian specialities, and Tiziano is the gourmet restaurant - booking is required 24-hours in advance at reception. There are also several bars for cocktails and a variety of drinks. 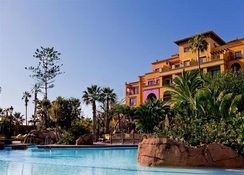 Sport, games and activities: Large sweet water swimming pool with waterfall (heated in winter), separate pool at the beach club, Spa and Wellness Centre, and a sun terrace on seafront with beds and parasols. For Golfers; Tee-times booked at reduced green fees at all golf courses, transfers, separate golf locker room to store golf clubs, and cleaning service for shoes and clubs are also available at no extra charge. For the kids: Children's swimming pool and a Mini Club with entertainment. 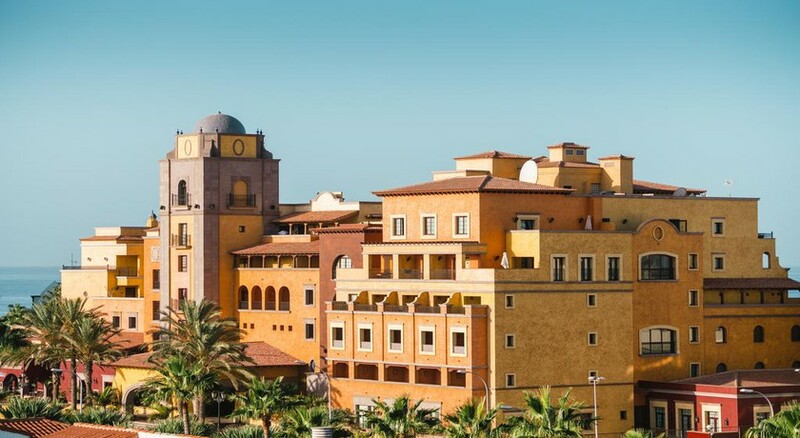 Additional: Reception and house-keeping, boutiques, hairdresser, valet parking, library, and room service. 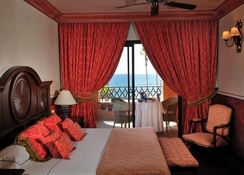 The Europe Villa Cortes hotel offers 151 elegant guest rooms, which are individually furnished and decorated. Guest rooms can be booked with a garden or sea view and all feature air-conditioning and ceiling fans, satellite TV, safe, mini fridge, telephone, Internet connection, and a fax (available in room on request). 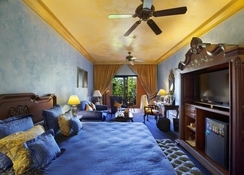 The large bathrooms offer a bidet, hair dryer, cosmetic mirror and bathrobes and every room has a balcony or a terrace.